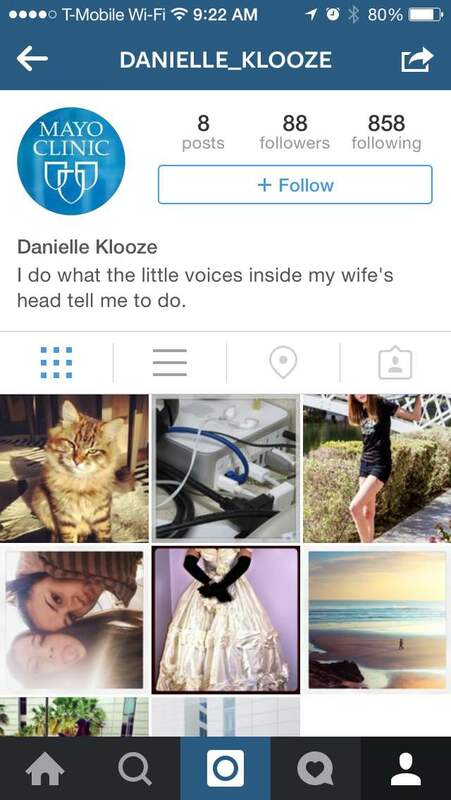 We ordered 1,000 Instagram Followers from ViralKick to see if they could deliver as promised. We were very happy with the quality of the followers we got, which were about as good as we've ever seen. Our one main concern is that they took a week to fulfill our order (compared to the 1-day industry average). Still, once the order was delivered, we were very happy with the quality of the followers that we received, so we do recommend ViralKick if you’re flexible on the delivery time. ViralKick offers marketing services across several of the most popular social media platforms. Their prices are good, and they seem to take customer support seriously, with solid refund and retention policies. They claim that the followers they provide are both active and inactive. If you want to boost your social proof, you'll find services for Instagram along with Facebook, Twitter, YouTube, Google+, SoundCloud, Vimeo, Pinterest, and more. For Instagram, ViralKick offers a great selection of plans. You'll find Followers, Daily Followers, Likes, Daily Likes, and Comments. We reviewed the terms and conditions sections on the ViralKick website and made a few comments on their status below. To find out more details on these, then please toggle the sections to see what we thought! ViralKick has a basic Terms of Service. 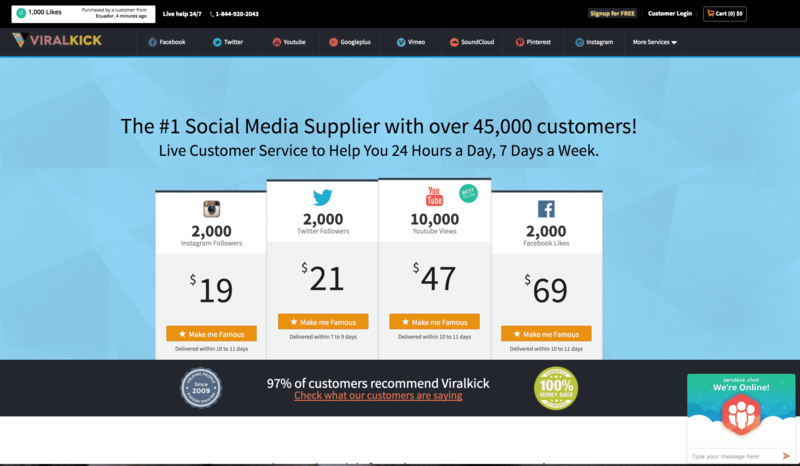 ViralKick has a Money Back Guarantee. They'll provide a refund "if a customer's needs are not met." ViralKick offers a good Retention Policy. If you lose followers, contact them for a refill. ViralKick provides a number of ways to get in touch with them. Whatever method works best for you, they probably offer it. Scroll to the bottom and click the Contact link in the footer, or use the live chat in the bottom-right corner. 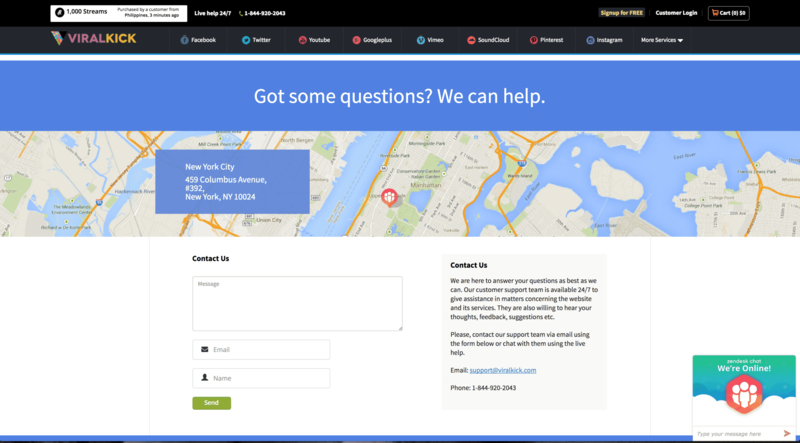 On their website, they have a live chat window, which works quite well. The sales representative was polite and helpful, patiently answering all of our questions. On the other hand, they were less reliable in responding to emails. We emailed them twice and never got a response. The takeaway: use the live chat, because it works great and helped us resolve the issue with our order being late. Don’t bother with the email. What kind of followers am I going to get? 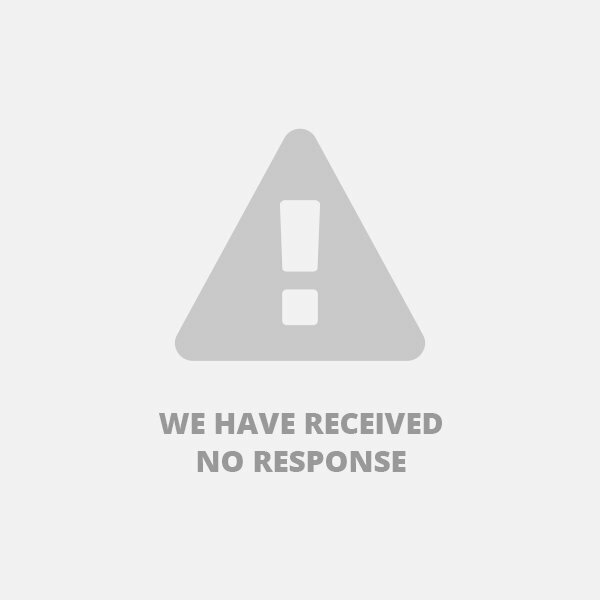 After ordering, we like to send another set of questions to see if they treat a paying customer any differently. We'll update this section as soon as we get a response. We recommend the Instagram services of ViralKick if you're looking for Instagram followers that look authentic, just like real users. As we've said elsewhere, however, our order took a while to be delivered, so if you need them quickly you might want to look elsewhere. 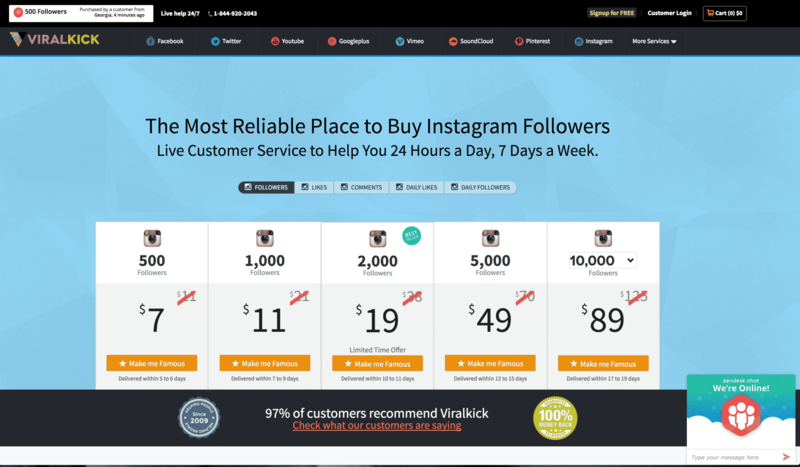 ViralKick was among the slowest providers to deliver Instagram Followers that we've tested. Their service took about 1 week to actually deliver results, and this was after we contacted their customer support on two different occasions. For comparison, average delivery time for Instagram Followers is about 1 day, with some of the top providers offering instant delivery. If getting your Instagram followers quickly and on time is a major priority, we wouldn’t recommend ViralKick. As far as quality, these are some of the best Instagram Followers that we’ve seen. All followers have decent bios, and good profile photos with a relevant name rather than the garbled nonsense that you sometimes see with other providers. Each one had 7 or more photos posted, and an industry average of about 10:1 ratio between who they follow, versus who follows them back. If quality is a priority for you, then ViralKick will work for you. Their followers look real as can be and blend in well with organic followers. No complaints here. They originally delivered just over 100% of our order, and to date every one of them is still following us. In fact, we’ve seen an additional increase a few days after gaining followers, but can’t confirm if they came from ViralKick or they randomly followed us as a result of social proof. Despite our order being late, the followers we got from ViralKick are some of the best we've ever ordered - and for a good price too. Furthermore, their live support gave us the confidence that any small issues that might arise would be dealt with and resolved in a timely manner. Their website is slick and user-friendly, making the shopping and ordering experience easy and efficient. Unfortunately, they are among the slower to deliver their followers, which was their biggest downfall. If you don't mind waiting a bit more for quality, then we would definitely recommend that you consider ViralKick. However, you can also get high-quality followers from our top providers, but delivered at a faster pace. If that's what you're looking for, check out TweetAngels or BuyCheapFollowersLikes. The quality of followers and how fast they came was really impressive. Thats really the essence of buying followers, to get quality followers and have them delivered fast especially in case of deadlines. I am totally excited by this service and my team and i cant wait to work with these guys as we look to grow together. The price to get thousands of followers in such a short time is simply remarkable. I am totally impressed by the great service offered by these guys. My Instagram followers grew in record time and none has unfollowed as has been the case with previous services i have used. You will sit and wonder how all the followers you bought have disappeared, and eventually you'll move on, just like I did. Having had the need to grow my Instagram followers, Viralkick did it for me once I contacted them via their website. My expectations were well met.